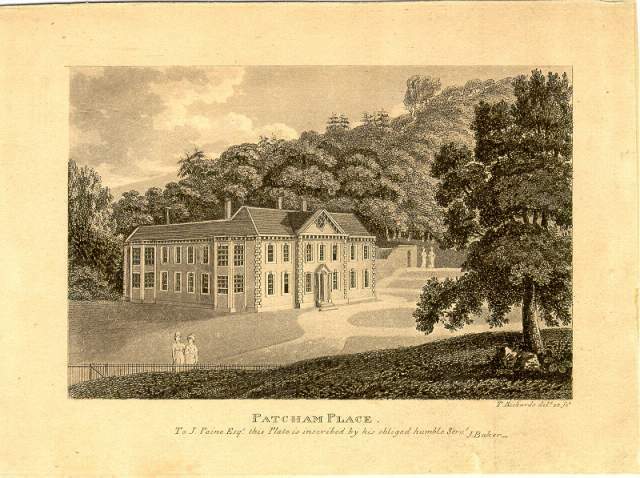 Patcham Place was originally built in 1558 for Sir William West, Lord de la Warr, but was rebuilt with a facade of black mathematical tiles, pediment and a Tuscan doorway in 1767 for John Paine. In 1926 it was purchased with its grounds by Brighton Corporation for £6,000. Since 1939 it has been a Youth Hostel.